RVs are used throughout the year by 30M travel enthusiasts who enjoy spending time on the open road. Over the years, the innovations of RVs have continued to evolve and increase the appeal of campers. When it comes to embracing the latest features, there are a few top innovations that have been released in the last decade. 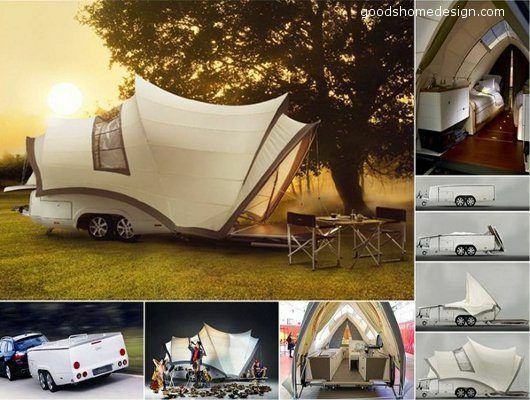 The Opera Camper makes it easy to relax outdoors with a shaded area that is provided by the tent. The mobile designer suite offers plenty of luxury and detail with two adjustable beds that can each fit an RV mattress. It’s built with a top loading refrigerator, a ceramic toilet, and a compact kitchen with a stainless steel sink. You can enjoy cooking on the modular outdoor kitchen, which features a two-ring burner, a pull-out faucet head, and a cutting board. Inside, you can relax with amenities that include a coated teak floor and LED lighting. The luxe details of the camper will allow it to become a home away from home where you can enjoy spending time in a beautiful setting while taking in the outdoor views. 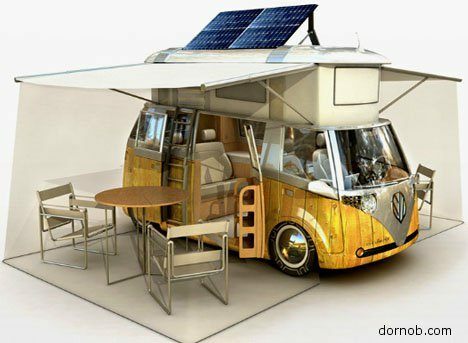 Explore the Opera Camper here. The Eco Retro VW offers a bit of nostalgia for those who spent their time road tripping in a VW van. The redesigned model is built with green technology that has a low impact on the environment with its 4-speed automatic turbocharged bio-diesel hybrid drivetrain. It also includes a home theater with 5.1 surround sound, a Sun Tracker solar panel, and a roof that is easy to adjust with its height. It even comes with a refrigerator and a freezer where you can stock up on your snacks and meals to enjoy while on the go. More images about the prototype can be found here. The Futuria RV will allow you to bathe on the roof or bring your sports car along for the road trip. It comes with a 200 HP engine, two bedrooms, and a terrace that covers the surface of the semi-trailer. The terrace is the perfect place to barbecue or serve drinks at the folding bar. It’s even built with a living room that includes a couch that can fit up to 10 people and a powerful sound system to use when you’re entertaining! See the photo gallery here. The Citroën SpaceTourer is a flashy camper that features a compact, modular design. You can take advantage of the removable kitchen block that is mounted to the floor rails and make meals on a two-burner stove. It also includes a rear bench where you can use an RV mattress and a pop-top roof to make room for extra people. See the photo gallery here. 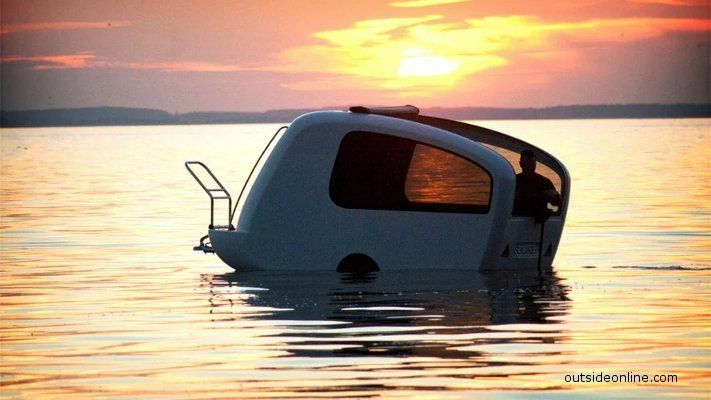 The Sealander is a camper that can transform into a boat due to a curved undercarriage that allows it to be used on water. It’s built with an outboard motor and a modern exterior design that makes it stand out on the road. The camper is made in Germany and includes a swim ladder, an onboard toilet and shower, and sleeping quarters. More details about this camper can be found here. This entry was posted in RV Lifestyle and tagged RV living.